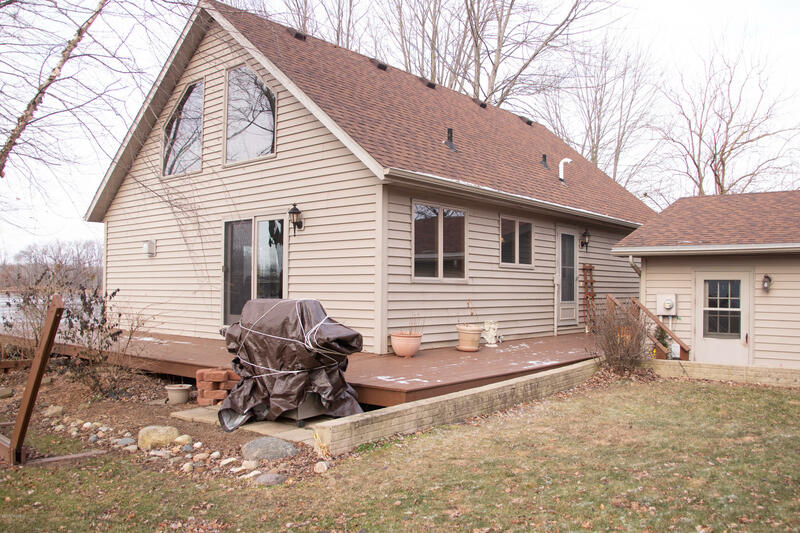 MARBLE LAKE - COLDWATER LAKE CHAIN: This open and welcoming 3 bed 2 bath home offers a stone floor to ceiling gas fireplace in the living room. There is also a main level master & laundry. The open staircase leads to a large landing overlooking the living room and an upstairs bedroom with bunkbeds. The large wrap around deck offers plenty of room for entertaining overlooking 94' of waterfrontage. The 2 car garage is insulated & has heat as well. This company makes no warranty or representationsabout the contents of this data. It is the responsibility of the parties looking at the property to satisfy themselves as to the accuracy of this information. Taxes were obtained from the local assessor and the taxes could change for the buyer after a closed transaction.